Fleet operators spend millions of dollars each year on maintenance that could be avoided with proactive planning. It’s why the top operators across the country are constantly reviewing why their trucks break down and the steps they can take to mitigate these issues. 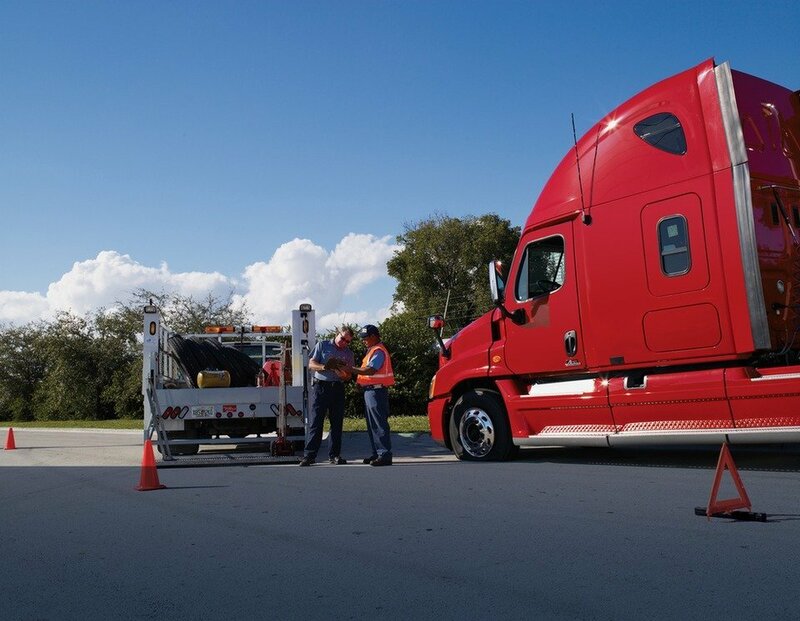 To help in this process, our roadside assistance team explains the leading reasons why trucks break down, in our newest post. Dead batteries are perhaps the most common cause of semi truck break down, particularly within the colder parts of the country where the vehicle requires more power to heat up in winter. Truck batteries have a lifespan of 3-to-5 years and using batteries in extreme heat and cold can limit their lifespan considerably. We know that tire underinflation is a common problem in fleets throughout the country. But the studies also show that underinflation can lead to break downs as it causes excessive heat buildup in the tire sidewall. Brake problems are the cause behind 29% of semi truck accidents according to the latest data. A semi truck’s drum and disc brakes can wear down over time if they are not maintained, given the heat, pressure and friction they are continually exposed to. Brake problems that can cause a truck to break down are usually the result of air leaks or internal water contamination that allows air lines to freeze up in the winter months. Truck operators don’t always know how to respond to the sign of a problem within their electrical system. And not responding adeptly can lead to the system breaking down over time. Make sure that your drivers are trained to spot and respond to the signs of a malfunctioning system, which may include: corroded battery connections, dead batteries, flickering lights, and clicking sounds when starting the engine. Design a program that educates drivers on the signs of a potential break down in the near future and assures regular in-shop maintenance schedules. Train your drivers on pre-trip inspections that allow them to identify wear within the vehicle and ensure the problem is resolved before they go on the road. Sign your fleet up for roadside assistance service with a specialist, such as STTC, who can help companies reduce their fleet costs considerably. We offer a full range of programs for fleets of all sizes. To discover more about how to mitigate truck break down over the coming years, contact our experienced team today.